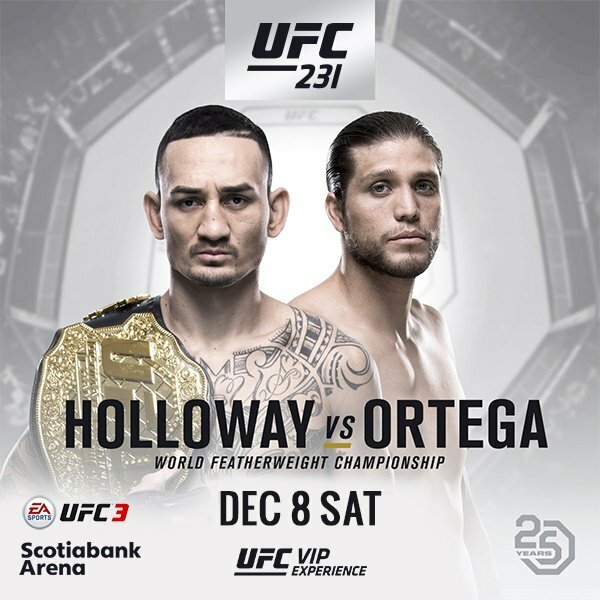 2018 | MMA Fighting Events Videos Techniques UFC Fight Picks and News. These days, it seems that we can't have a UFC PPV main event without some pre-fight drama. This time, USADA (US Anti-Doping Agency) reported to the Las Vegas Athletic commission that there was still a trace amount of the steroid Jon Jones was suspended for in his system. It was a few picograms. A picogram is a trillionth of a gram. That amount is not performance enhancing, and not in violation of USADA protocol. Basically, it's just a trace of what Jon Jones was already suspended for and nothing else was found. But, the Las Vegas Athletic commission did not have time to have a hearing to look into it due to the holidays and would not sanction the fight without that hearing. So, the fight was moved to California. OK, with that out of the way, let's get into Jon Jones vs Alexander Gustafsson 2. Alexander Gustaffson is 18-4 overall with 11 KO/TKO's and 3 submissions on his resume. Gustaffson was 15-1 when he first got a crack at the UFC light heavyweight title. He gave Jon Jones a hard time but eventually the fight turned and Jon Jones was able to pull off a decision victory. Since that fight, Gustaffson is 3-2 but has faced the best of the best in the division and has won his last two, the last one in impressive fashion by knocking out a very tough fighter in Glover Teixeira. Gustaffson has some of the best stand up in the division. He's tall, and long and can strike with great combinations. He also has the experience of fighting Jon Jones and he'll look to clean up some of the mistakes he made in their first fight. Jon Jones is officially 22-1 but let's face it, he's really undefeated. That one loss was after he KO'ed Matt Hamill but was disqualified for throwing downward elbows. That would have easily been just another win. His second victory over arguably the GOAT Daniel Cormier was officially called a no contest (NC) after testing positive for a banned substance. So he's really 24-0 with the only man to ever beat Jon Jones is well....Jon Jones. Jon Jones has fought and beat the best of the best in the UFC's light heavyweight division. If not for his out of competition legal troubles, Jon Jones would be considered the GOAT. He's showed a full toolbox of MMA skills. 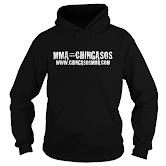 Great stand up, creative striking, takedowns, submissions and some of the best KO/TKO's. Unfortunately for him, the fans, and the sport, all now tainted. This fight will be the chance to get back on track for Jon Jones. He's now voluntarily enrolled in VADA (Voluntary Anti-Doping Associating) and in USADA, the first MMA fighter to do so. Now he just needs to prove he can fight clean and stay out of trouble. Look for this fight to be caution for the first two rounds. Jones hasn't fought since July of 2017 and will definitely need to warm up. Gustaffson is a methodical fighter who isn't going to risk much early. After both fighters get into a rhythm more and more chingasos will begin to land. 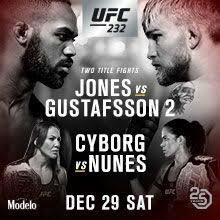 It will look similar to the first fight but this time, Jon Jones will take Gustaffson seriously and push the pace to finish before Gustaffson gets too comfortable. I see Jon Jones taking this fight by KO/TKO in the later rounds, reclaiming his stripped UFC light heavyweight belt and being on his way to gaining the trust of the fans and the MMA community. How do you see this fight going down? 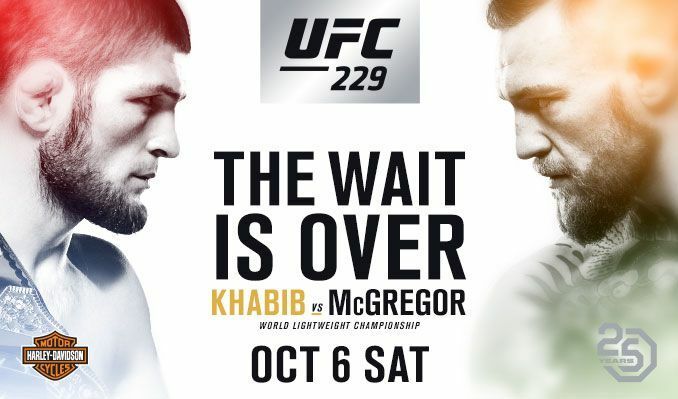 UFC 230 has flown under the radar, mostly due to the UFC not being able to decide on a real main event until a few weeks ago. 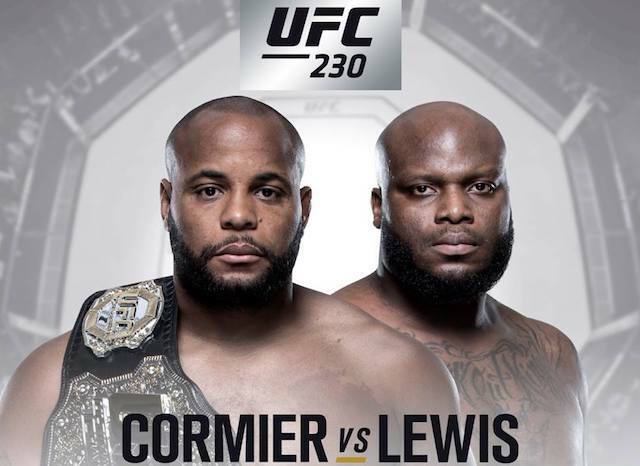 But, here we are now with Daniel Cormier defending his newly captured UFC Championship belt versus the heavy handed KO artist Derrick Lewis. Lets take a closer look at these fighters and then I'll make my main event fight pick for UFC 230: Daniel Cormier vs Derrick Lewis. Derrick Lewis is coming into this UFC title shot with an overall MMA record of 21-5. Lewis is a power punching finisher with 18 of his wins coming via KO/TKO. His last fight was a perfect example of the power this man possesses. Just when it looked like he was headed for a decision loss, Lewis unleashed a right hand from hell that knocked Alexander Volkov into another dimension. Lewis can bang! But, his gas tank is highly suspect. 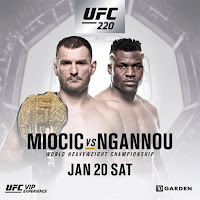 The fight with Francis Ngannou was an absolute snoozefest and will go down in history as one of the most boring fights ever. He redeemed himself last time out, but Daniel Cormier is on another level. Danile Cormier is officially 21-1 in MMA. That one official loss is to Jon Jones and who knows if Jones was natural then, as we all know he tested positive for PED's their second fight. Cormier is a wrestling expert that has learned how to blend in chingasos perfectly to get his desired results! Cormier is the Lightweight and Heavyweight Champion for a reason. The man can absolutely fight, and he trains at one of the best MMA camps in the world. Cormier has a great wrestling pedigree, trains with top MMA fighters, and has loads of experience. That is the combination of elements a fighter has to face when they step in the cage and face off against Daniel Cormier. Lewis is a huge underdog on paper. But, fights aren't fought on paper. Lewis can absolutely win this fight. All he has to do is land one of those missiles he has chambered in his MMA arsenal. Now that is easier said than done. Lewis is facing a fighter with a proven arsenal of MMA weapons, a deep gas tank, and someone that has been tested at the highest levels. Those things are cryptonite to a one trick pony type fighter like Derrick Lewis. Look for Cormier to start off slow. He doesn't want to run into a right hand from Lewis while Lewis is fresh and powered up. Cormier will make Lewis work and draw his power down. Then, Cormier will get a clinch, score a takedown and Lewis will stay on his back until the fight is stopped! 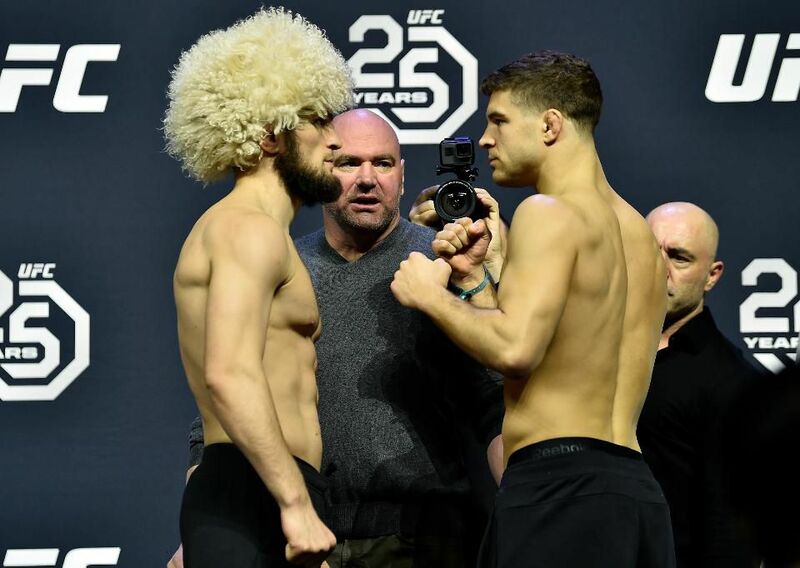 What are you thoughts on this main event fight? The UFC’s 170 lbs division has been ruled by Tyron Woodley. Tonight, Woodley will face his toughest challenge yet in the undefeated stand up specialist Darren Till. This is going to be a classic wrestler with KO power vs a stand up striking surgeon match up! 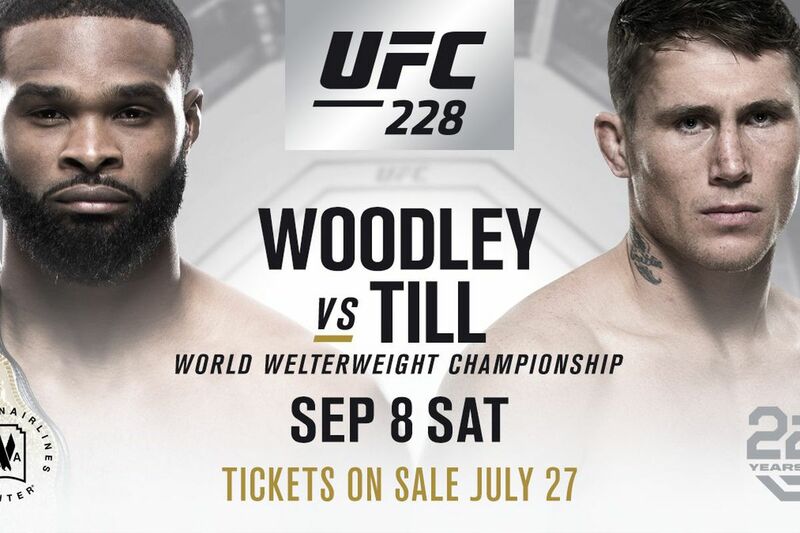 Let’s take a closer look at each of these MMA fighters and then I’ll make my official Chingasos MMA fight pick for UFC 228: Tyron Woodley vs Darren Till. Tyron Woodley is officially 18-3 in MMA with 7 KO’s and 4 submissions. He has explosive KO power as he showed in KO’s over Robbie Lawler and Josh Koshek. What opens up his power shots is excellent top of the food chain wrestling ability. If Woodley wants to stand, that’s where the fight will take place. If he wants a takedown, he’ll most likely get it and be able to win rounds and cruise to fight wins. Darren Till is undefeated at 17-0-1 in MMA. He’s coming into this title shot with 10 KO’s and 2 submission on his resume. Till is coming off a big unanimous decision win over Stephen Thompson and a TKO victory over Donald Cerrone. He’s a striking specialist and has beaten striking specialists! That tells you how high level his striking game is. His size for the 170 lbs division, striking and takedown defense makes him a big threat to Woodley. After the big KO of Robbie Lawler, Woodley has seemed to fight defensively. He fought Stephen Thompson to a draw, and then beat him in majority decision in the rematch. His last fight against Demian Maia also showed more of a defensive fight philosophy that probably lost him fans. That style of holding back and waiting won’t work with Till. Darren Till is an aggressive stand up fighter with great foot work. He’ll be able to avoid the big KO power shots from Woodley, and will fight off any takedown attempts. Woodley is powerful, but his engine burns fuel really quick. He fights in bursts. Till can keep the pressure on. I see Till avoiding any dangerous exchanges in the first few rounds and then turning up the heat with pressure and precision striking as the fight progresses. Woodley will always have a power advantage, but when that power begins to drain, Till will take over the fight. Tonight, you’ll see a new UFC 170 lbs champion! 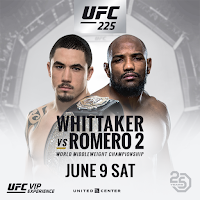 The UFC has had some lackluster PPV's this year, but UFC 226 pits the UFC heavyweight champion vs the UFC's lighweight champion! Yes! It's a "super fight"! Daniel Cormier is stepping up a weight class to fight Stipe Miocic. Let's take a closer look at these two fighters, and then I'll make my official Chingasos MMA fight pick! Stipe Miocic's MMA record is 18-2 and hasn't lost a fight since 2014. That last loss came to Junior Dos Santos via decision. He's avenged that loss in 2017 with a TKO first round victory. Miocic is a finisher! JDS hasn't been the only victim of a KO/TKO. Miocic has finished 14 of this 18 wins via KO/TKO. As you can clearly see, Miocic has heavy hands, but that's not what makes him a great MMA fighter. Miocic has a strong wrestling base that allows him to dictate where the fight will take place. If he knows he's the better striker, he'll keep it standing. Like we saw in his last fight with Francis Ngannou, if the other fighter is a KO artist, he can get a takedown and ride out a victory. Daniel Cormier is officially 20-1(one loss was overturned due to Jon Jones testing positive for a banned substance). His only losses have come to one man, Jon Jones, arguably the best pound for pound fighter ever. Cormier has fought the best of the best. He's no stranger to fighting heavyweights as that's where his career started. He's become a legend in the UFC's lightweight division taking on and beating everyone they've put in front of him with the exception of Jon Jones. Daniel Cormier probably has the best wrestling not only in the lightweight division, but in all of MMA. He's tossed around guys that shouldn't have been tossed around! He mixes in that great wrestling ability with solid boxing. Cormier can also dictate where the fight will take place. So what's the bottom line? Well, Miocic is the better striker. He has more power and can finish with one punch. Cormier is the better wrestler and takedown artist. 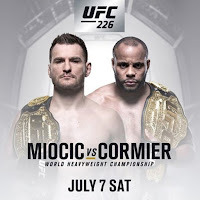 Stipe Moicic has good wrestling, and has been able to keep the fight standing when he wants but he hasn't faced anyone with the wrestling capabilities that Cormier has. Not even close! 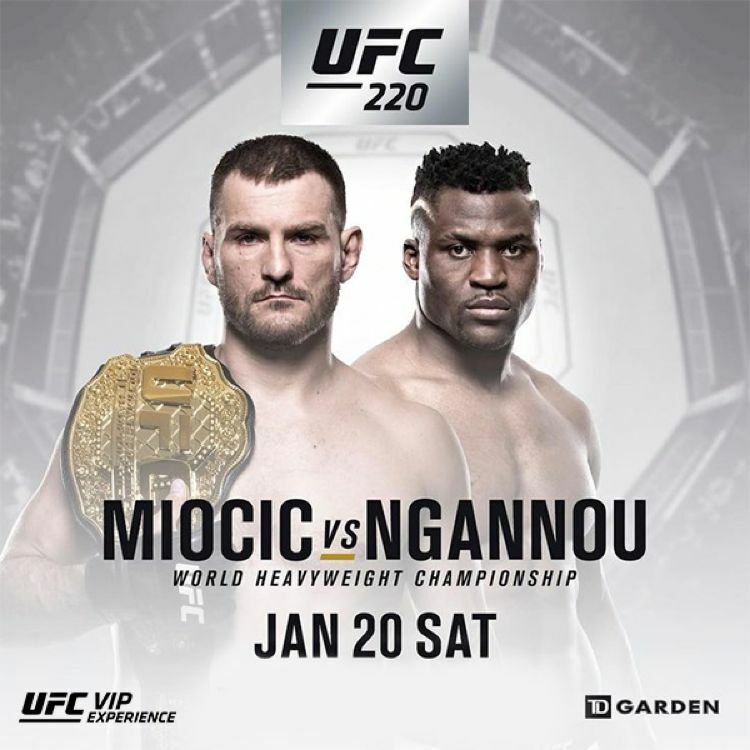 Moicic's last 6 opponents were all striking preference fighters, Francis Ngannaou, Junior Dos Santos, Alistair Overeem, Andre Arlovski and Mark Hung. Look for Cormier to avoid the big chingasos, score takedowns and ride out a late ground and pound victory or a unanimous decision! 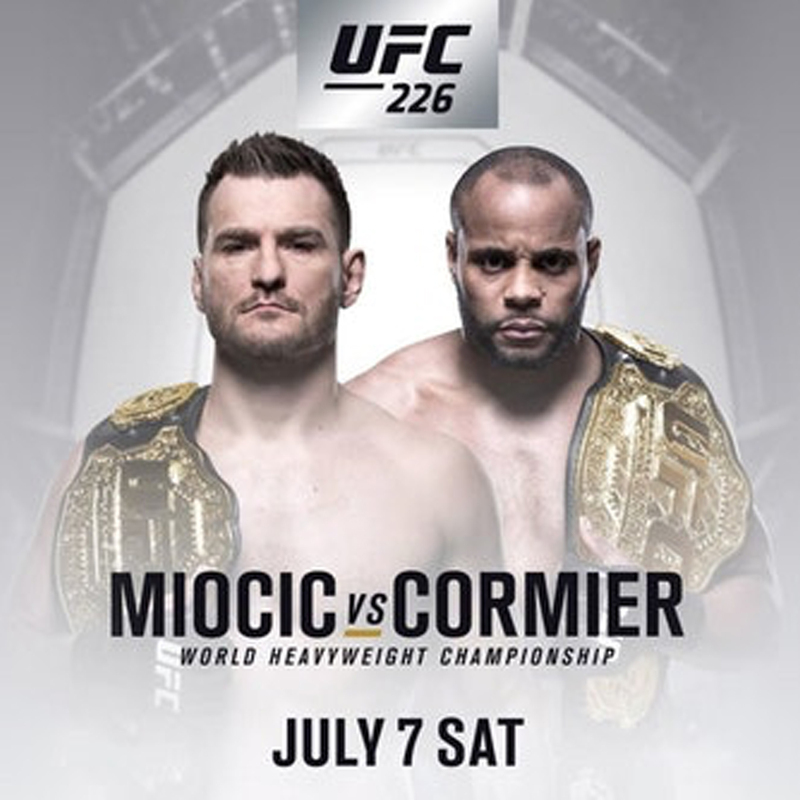 Cormier will be the undisputed lightweight and heavyweight UFC champion! 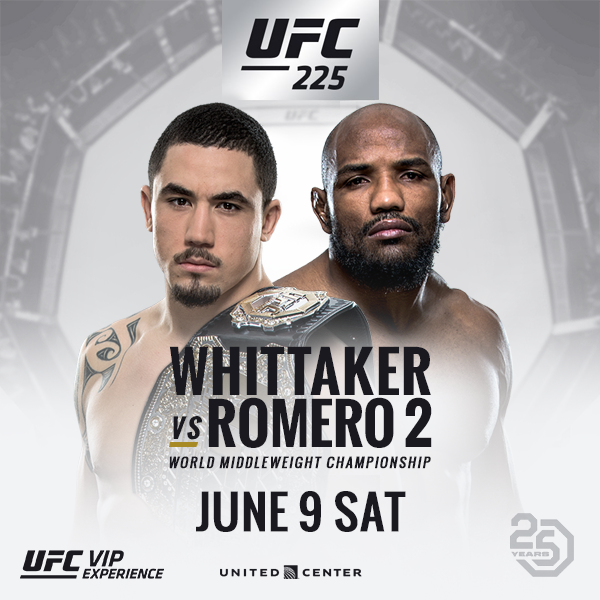 UFC 224 is headlined by a "who?" vs "who?"... main event. The casual fan has no clue who these fighters are. It's almost like the UFC is testing it's fan base as well. It's testing how much money they can make with a crappy card. Who's paying for that PPV? Probably not many people, but, as always, we'll do a breakdown of the main event for those of you that enjoy making wagers. In 2017, Chingasos MMA went 10-2 in main event fight picks helping people make a whole lot of money. In 2018, we're planning on similar numbers. 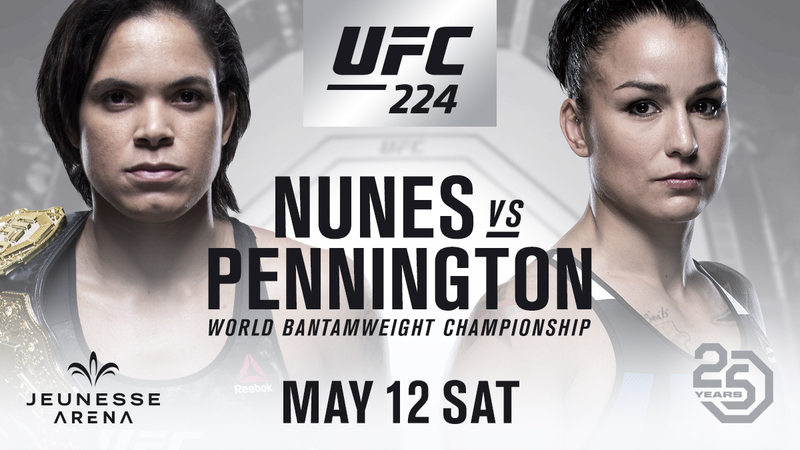 Let's get into the main event fight pick, Amanda Nunes vs Raquel Pennington. Amanda Nunes is the UFC women's 135 lbs champion and comes into this title defense with an overall record of 15-4. Nunes is on a 6 fight winning streak which includes the famous smoking of overrated and overhyped Ronda Rousey. Raquel Pennington is 9-5 overall and has a moderately impressive 4 fight winning streak. Her biggest win has been against Meisha Tate. She won a unanimous decision versus Tate. Nunes on the other hand overwhelmed Tate and submitted her in the first round. The difference in this fight will be Nunes abilitly to finish. She's finished 4 out of her last 6 wins. Pennington has won her last three by decision and one of those was a split decision. Look for Nunes to be more athletic, sharper, and more technical in every aspect of MMA. This fight wont go past the 3rd round and Nunes will have another title defense added to her resume. 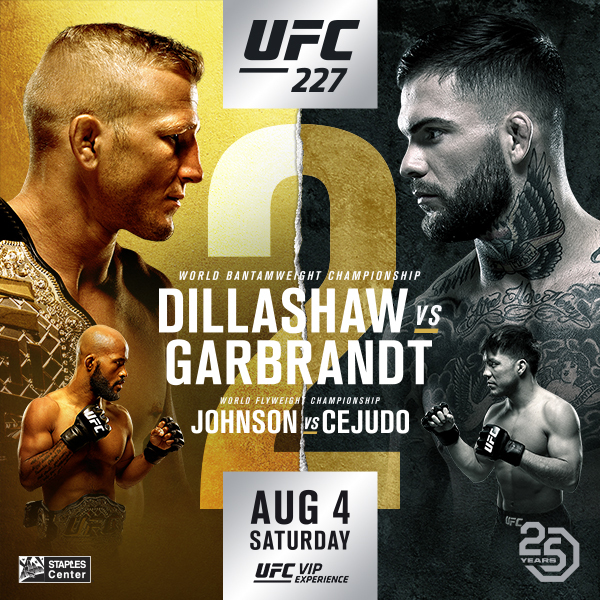 Who's fighting at UFC 222? Who's the main event? These are two questions I've been getting recently. And, I can't blame the casual MMA fan for not knowing. 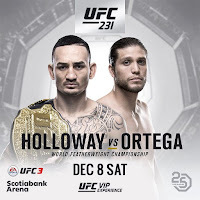 UFC 222 had a huge drop in interest once Max Holloway got hurt and Cris Cyborg vs Yana Kunitskaya got elevated to the main event. It's not really main event worthy, but, it should still be interesting. Last year I went 10-2 in main event fight picks making a lot of people a lot of money, and that's probably why you're here! So, let's get into these two fighters and then I'll make my fight pick for UFC 222: Cris Cyborg vs. Yana Kunitskaya. Cristiane "Cyborg" Justino is 19-1 overall in MMA. In the UFC, since they've created a division just for her, she's 4-0. The competition hasn't been all that stiff. She's looking like the stand/striking MMA version of Ronda Rousey. There's a lot of hype that's built up, but mostly it's been built up because of sub par competition. Make no mistake about it though, Cyborg is tough, and she can bang! Yana Kunitskaya is 10-3 in MMA but has not fought in the UFC. Yana is 2-2 with a no contest in her last 5. Not exactly main event title shot material, but, here we are. Yana has a punchers chance, 7 of those 10 wins have come via KO/TKO. The competition, questionable at best, but nevertheless she can put another woman to sleep. On paper, Yana has zero chance at beating Cyborg. Luckily for her, fights aren't fought on paper. You just never know. I wouldn't be the house on her, but if you're a high risk gambler, this could be Mike Tyson vs. Buster Douglas. Officially though, I'm taking Cyborg for the win. What are your thoughts on UFC 222: Cris Cyborg vs Yana Kuniskaya?